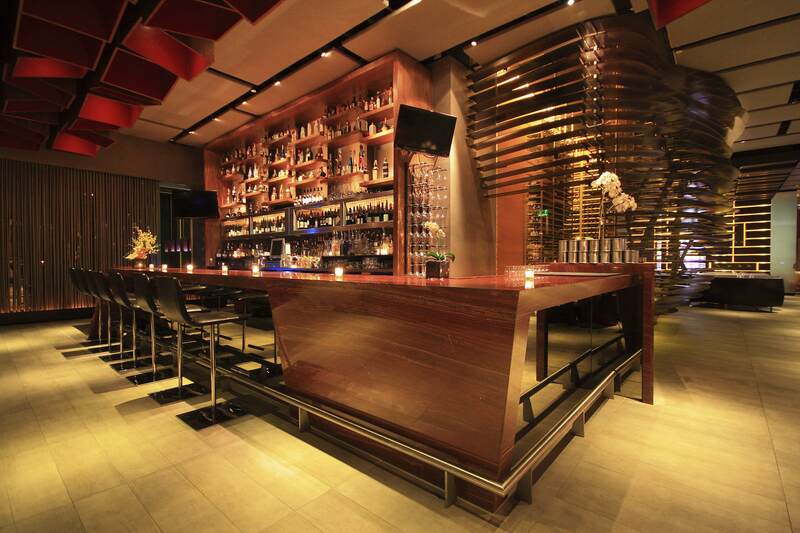 BOA Steakhouse artfully combines a bold, colorful environment with modern-day steakhouse fare. Steaks and chops include a selection of prime Omaha beef such as the “40 Day” Dry Aged New York Strip and the “Bone In” Rib Eye, as well as Certified Organic Beef and Premium American Wagyu, all served with a choice of rubs and house made sauces, including BOA’s own J-1 sauce. A full complement of traditional steakhouse sides is offered, including the Classic Caesar Salad made tableside and Mac-n-Cheese. The menu also offers tempting poultry dishes and superb seafood options, a wide variety of sandwiches and salads at lunchtime, an extensive cocktail menu and a Wine Spectator award-winning wine list. DRESS CODE: We kindly ask that our guests abide by the Business Casual dress code at our West Hollywood location. The following items are not permitted in the restaurants: Beachwear, Athletic Tops & T-Shirts, Shorts & Flip Flops (Including rubber and plastic thongs).